We are pleased to advise that our range of quarter-turn lock latches and wing knobs now offers from IP50 through IP65, IP66 and up to IP69 degrees of sealing – protecting against ingress of dust and water. 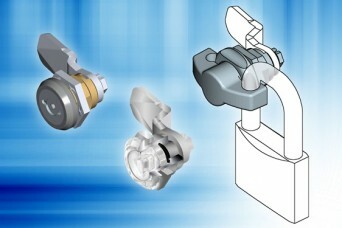 The 1000 program of quarter-turn latching fasteners suit small enclosures using 14mm square or D cutouts – these small locks and compression latches are ideal for boxes, cases, wall cabinets and similar, with a wealth of insert options to suit standard industrial key types or cylinder key numbers. Larger versions of the 1000 program include additional key options as well as L and T handles for larger enclosures and stand-alone cabinets. Slam latches, padlockable facilities, wing knobs and shrouded key sockets are part of the variation possible with this modular series. Stainless steel versions are available for many designs complete with matching cams in various depths to suit the installation, with special hygiene options as standard in the range, along with special clip-in fixing designs and positive seal dust caps for especially wet or dirty environments. 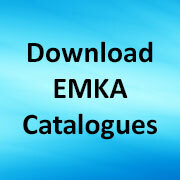 Share the post "Modular program ¼ turn locks IP50 to IP69"
EMKA (UK) Limited, Patricia House, Bodmin Road, Coventry, CV2 5DG, United Kingdom. © 2015 EMKA (UK) Ltd. All rights reserved.